We are delighted to announce that the Independent Television Service (ITVS) has granted significant project funding to Almost There. The funds will allow director/producers Dan Rybicky and Aaron Wickenden to complete the film, on which they have been working for six years, by the end of 2013. Almost There follows outsider artist Peter Anton, 82, who has spent decades obsessively chronicling his rollercoaster of a life into a massive, illustrated autobiography, and nothing — not poverty, isolation, or crippling disabilities — will stop him from seeing it published. Almost There documents the curatorial complexities surrounding the discovery and stewardship of Anton’s work, addressing issues of identity and legacy that arise from the collision of biography and autobiography. The project was just one of four chosen by ITVS from thousands of submissions in this year's round of funding. Read the ITVS announcement here. "We are so thrilled ITVS chose our project for funding. This was our third time applying to ITVS for Almost There and with each application we had the opportunity to receive creative feedback which was a crucial to our development as young filmmakers. 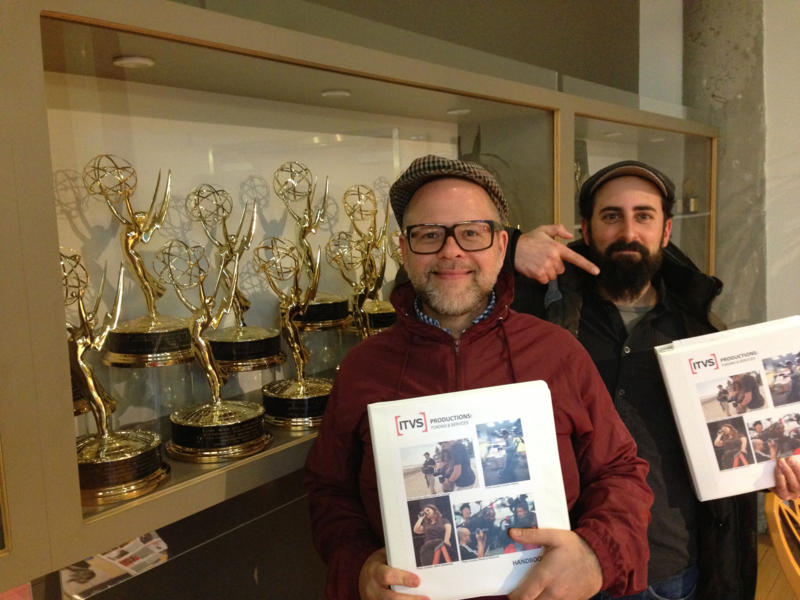 The ITVS Open Call process was extremely competitive, and we're honored to be working with such an inspired and inspiring organization - one that has supported so many of our favorite documentaries over the past several years," stated Wickenden (editor of The Trials of Muhammad Ali and The Interrupters). Added Rybicky: "Already, this funding has had a great impact on our process and has specifically allowed for the hiring of Student Academy Award winner Won Bae as an additional editor, Tristan Hanson as our Associate Producer, and a robust support team from Kartemquin including Suzanne Niemoth, Ryan Gleeson, Matt Lauterbach, Jim Morrissette, Tim Horsburgh, Gordon Quinn, and Justine Nagan. This funding is a victory not only for the filmmakers but also for Kartemquin and the Chicago filmmaking community at large. Thank you ITVS!" Read more about Dan Rybicky's work on the film and in pushing forward documentary in general via this recent Columbia College Chicago article. Almost There will be ready for screening at festivals in 2014 and eventually will air on PBS. You can follow their progress via Facebook and Twitter.